The Friday Night Live (FNL) program is designed for high school-aged young people. It is motivated by youth-adult partnerships that create essential and powerful opportunities that enhance and improve local communities. Community service, social action activities, participation in advocacy for safe and healthy environments, and promotion of health policies are organized by youth to appeal to youth. 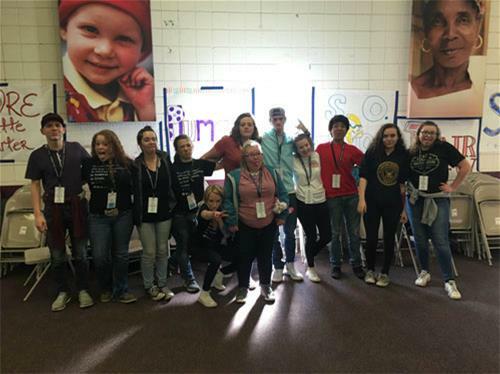 This program is currently in place at Quincy Jr/Sr High School, Portola Jr/Sr High School, Greenville Jr/Sr High School, and Chester Jr/Sr High School and serves around 40 young people in Plumas County. A sense of Belonging – to feel like they belong, like they matter to the group and its success. To view the Core Components of Friday Night Live, click here. To view a video from the National Institute on Drug Abuse, click here. For more information on the California Friday Night Live Partnership, click here. - Students develop skills that help them enhance self-esteem, develop problem-solving abilities, reduce stress and anxiety, and manage anger. - Students gain skills to meet personal challenges such as overcoming shyness, communicating clearly, building relationships, and avoiding violence. - Students build effective defenses against pressures to use tobacco, alcohol and other drugs. AOD Prevention also provides Brief Interventions for Substance Using Adolescents, which includes individual prevention services for youth who have been suspended for alcohol and other drug-related offenses or who have been referred by a school employee or themselves. During brief intervention sessions, the youth will gain skills and resources to assist in coping with life’s pressures during critical stages, which have the potential to otherwise lead to negative choices. Available at Chester Jr/Sr High School, Quincy Jr/Sr High School, Portola Jr/Sr High School, and Greenville Jr/Sr High School. Eight Plumas County youth have completed this program.